Spoiler Alert! 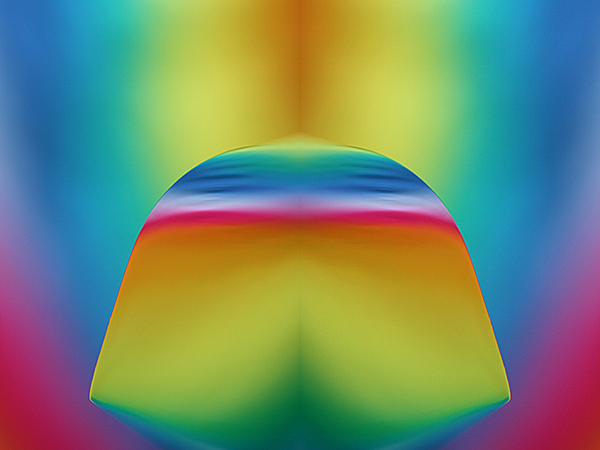 In my &apos;Exposed&apos; series of articles I reveal some of the secrets behind how I created my images. If you don&apos;t want to know how I made &apos;Fish out of Water’ & ‘Three of a Kind&apos; stop reading now! I love playing around with images. For me, one of the greatest challenges and pleasures is taking a single shot and creating a triptych which embodies an entirely new character and alternative perspective. ‘Fish out of Water’ and ‘Three of a Kind’ share a special relationship as they both incorporate the same original image, but turn out rather differently! This is the source image for ‘Fish out of Water’ and the middle panel of ‘Three of a Kind’. 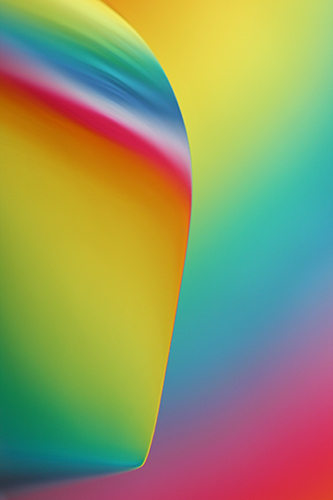 I was drawn to its dynamic rainbow colours and beautiful expansive curves. ‘Fish out of Water’ was the first of the triptychs I began working on. Initially focusing on the collection of colours at the top of the frame, I decided to make a fairly tight crop (the image on the left above) and then mirrored it just to see how it would look. My mind immediately associated this shape with the tail of a fish. After that it was just a matter of finding the long ‘body’ section to go with it (right image above). You may have spotted that my ‘fish’ has put on a little weight and is somewhat ‘fatter’ than the original cropped body section would suggest. Indeed, he has been partaking from the bounteous sea – this is because I wanted to keep the same aspect ratio for all of the ‘A’ sized print dimensions. 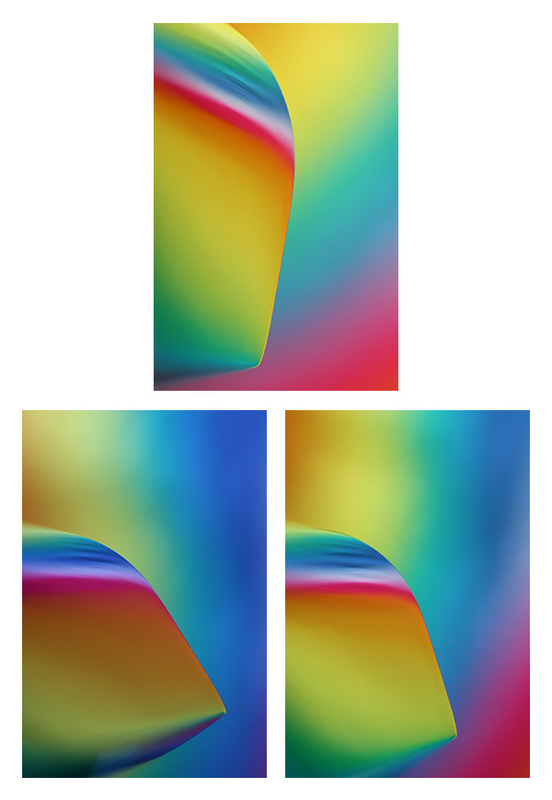 I decided I’d done about the best I could with using just the single shot and constructing a triptych. 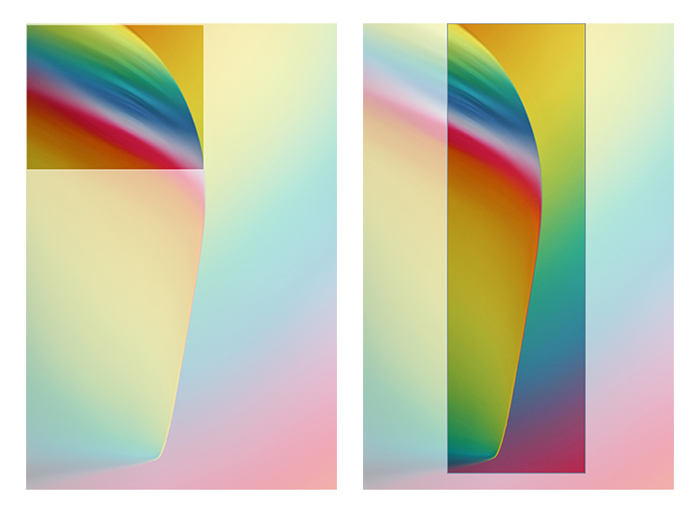 Now I was looking to create a triptych incorporating three different and distinct images. By this time, I’d really come to appreciate the original source image for ‘Fish’, so was fairly determined to see if I could utilise it again somehow. Now the hunt was on to find two other pictures which would work with it. I finally made my selection, but as they stood, I couldn’t seem to find a way of organising the shots into a triptych which was balanced. Everything felt very one-sided. 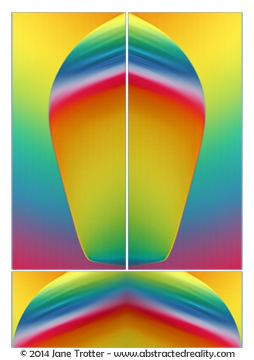 I then hit upon the idea of mirroring each image. This gave each panel more stability at the base and a more rounded, complete feel. I was much happier now with my colourful triumvirate. Knowing me, there’s usually a hint of something musical lurking in the background of many of my shots. 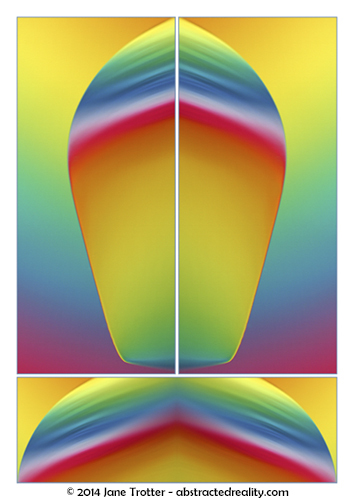 These two triptychs are no exception. A piano was incorporated in their construction! 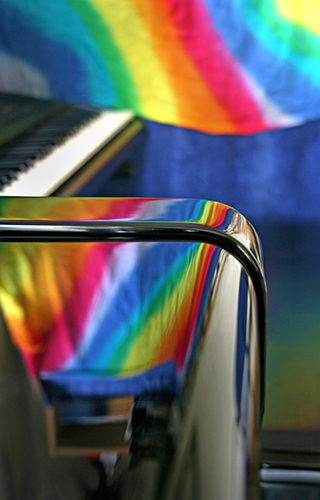 The black lacquered finish of my piano is very shiny and great for reflections, so I hung my colourful scarf on the bookcase, knowing that this would be picked up well in the instrument. Getting in close to the edge, I spotted the colours were wrapping themselves beautifully around the curved surface. Transforming myself into a bit of a contortionist, I then lay on the floor and looked up at the edge of the piano, all the while holding my erstwhile camera and undertaking feats of abdominal strength an aerobics instructor would be proud of! I decided to use a macro lens and a very narrow depth of field when taking the shots so I could blur out as much of the background as possible, eliminating any suggestion of the scarf’s texture and highlighting the amorphous and indistinct blend of colour. 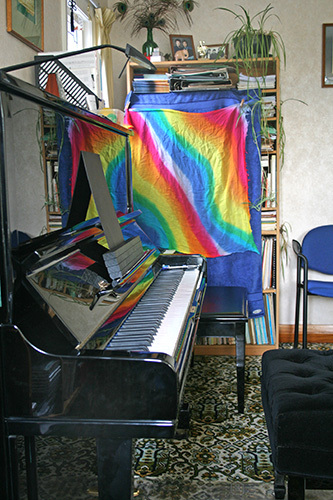 My piano and scarf feature prominently in the construction of another image – check out the Exposed blog post for ‘Colour Cathedral’. And my ever-versatile scarf comes to the fore again in ‘Colour Contours’.